From I-87 (The Northway) take exit 20, turn left onto State Route 9 and we are 1 mile on the left. 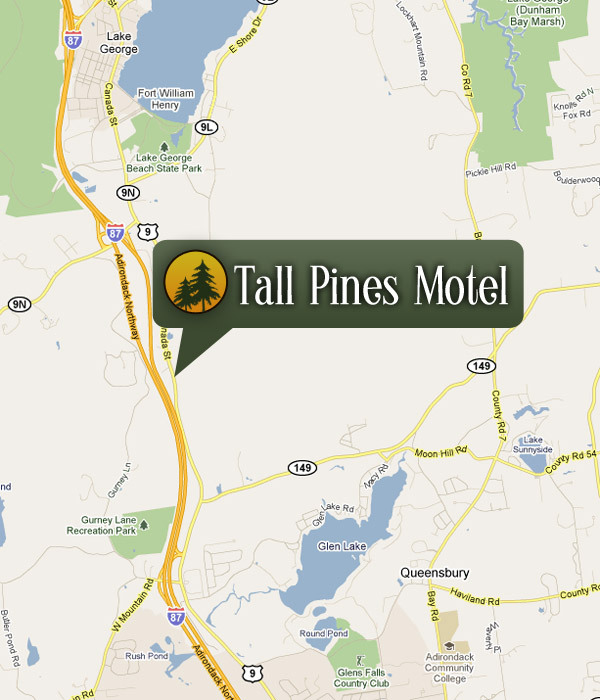 I-87 Exit 21, turn left, go ¼ mile to State Route 9, turn right and go 1 ½ mile to motel on the right. Search Engine Optimization Services and Website Design By Mannix Marketing, Inc.